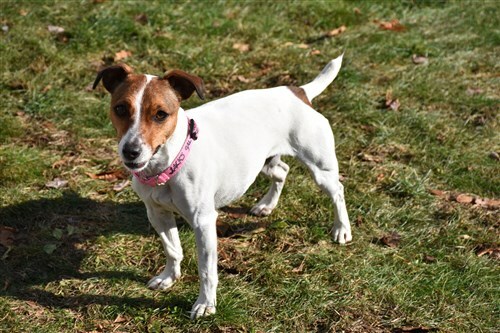 Peanut is a five-year-old female, tricolor smooth coat Jack Russell terrier who weighs in at a petite 12 pounds. This girl comes with tons and TONS of energy. Sadly her owner could no longer keep her due to lack of time, so she has come to Jacks Galore wanting a home who will take her for lots of long walks, play endless hours of ball, and snuggle. Peanut travels really well in the car, travels fine in the crate, is extremely well housetrained and is a very well behaved little Jack. She is very choosy when it comes to dog friends, but she gets along well with boy dogs that are laid back and then she pays no heed to them at all. 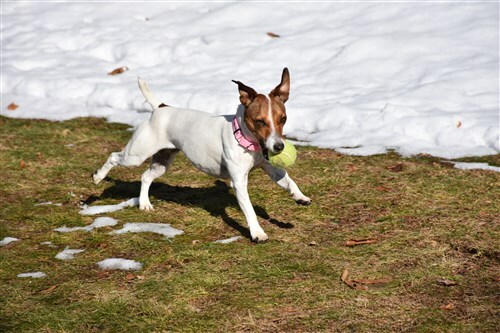 For Peanut, the whole point to being a Jack is chasing the tennis ball. Therefore, it would be best if she were the only dog in the home. Peanut is extremely good at having the zoomies. 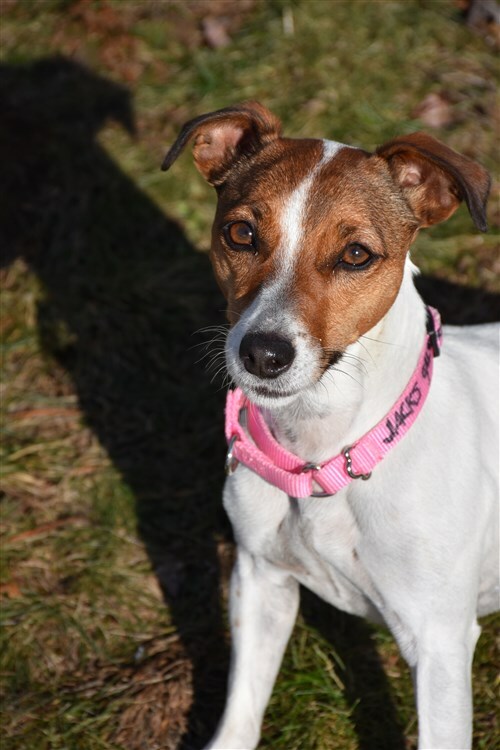 This JRT becomes very attached to her human, and is a devoted Jack Russell when loved. She walks beautifully on the leash, has lots of energy and keeps her eyes open and her nose ready to ferret out any little creatures living in stonewalls or hiding in field holes. She can be a little standoffish to new people, not sure what to make of them until her human assures her that all is well. So once confident in her new home she does need slow introductions to people who she meets for the first time. A beautiful little girl with lots of love to give and a boatload of energy; ready to steal your heart.